With its height of 190 meters is higher than Great Pyramid of Egypt (147 meters). It combines shaped sandstone blocks/tiles and layers of clay which was used as construction material in large quantities. Sources of the material are located nearby. Clay is excellent construction material and was used as a binder, waterproof and thermo/audio insulation. Terraced design is unique in the Pyramid Science. Upper layer of sandstone is glued to the base of sandstone plates. Organic material has been discovered between two layers at the archaeological trench No. 20 on western triangular pyramid side. Radiocarbon analysis performed by Institute for Physics of Silesian Institute for Technology (2011) confirmed the age of organic material: 10.350 B.C. +/- 50 years. 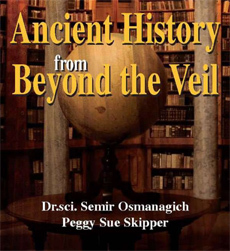 This is scientific confirmation of exceptional age of the Bosnian Pyramid of the Moon which is older than ancient Sumer, Babylon and Egypt. Institute for Materials from University of Zenica confirmed (2007) that sandstone plates/tiles at the same terrace have different hardness and porosity. It means that they were shaped from the sandstone found at the different debts in quarries. Sandstone is widely used as construction material today due to its excellent properties. 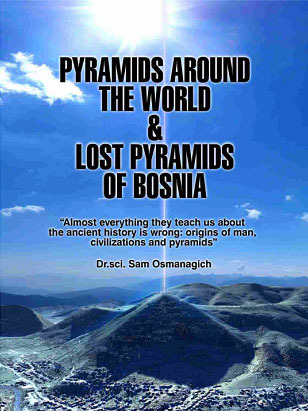 Below the pyramid water accumulation is located which is connected to the similar underground lakes below Bosnian pyramids of the Sun and Dragon.